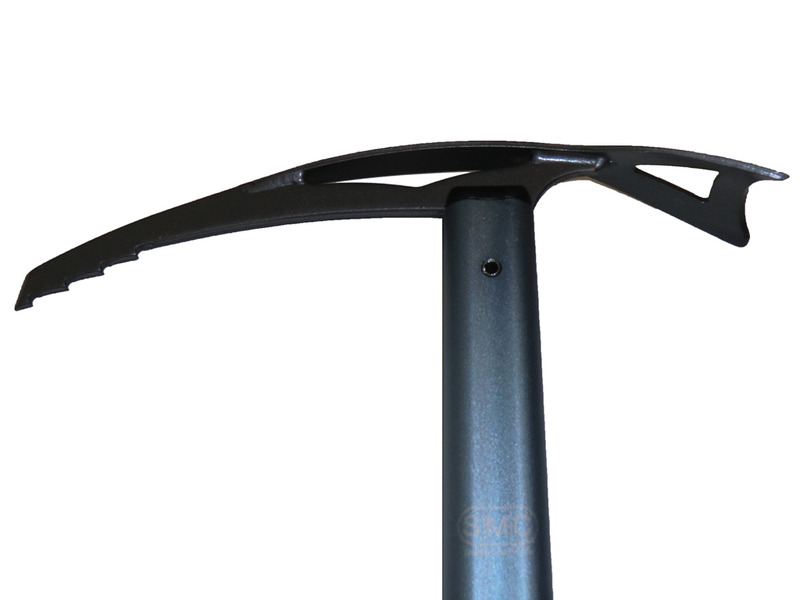 The SMC Capra ice axe appears very similar in form and function to other general mountaineering axes like the Black Diamond Raven ice axe. One notable difference is that the head of the Capra is welded versus a solid investment-cast head on the Raven. The welds on the Capra ice axes are thoroughly inspected at the factory and look absolutely perfect. I find the head comfortable to hold in self-belay position, although not quite as comfortable as the BD Raven (probably something to do with my small hands). The pick and adze appear heavy-duty and up to the task of general mountaineering. I like how easy it is to attach webbing leash through the hole in the head. I have seen many ice axes with small, round holes that are difficult to pass webbing through, but not on the Capra. My favorite thing about the Capra is it is made entirely in the USA at SMC's factory in Washington state. This really sets it apart from the competition. The Capra ice axe has been a constant companion on my past few climbing trips from a freezing cold climb of Mount Hood to a warm day on Mount St. Helens. No matter the conditions, the Capra has performed flawlessly. It is easy to plunge for self belay, providing security when climbing snowy routes. 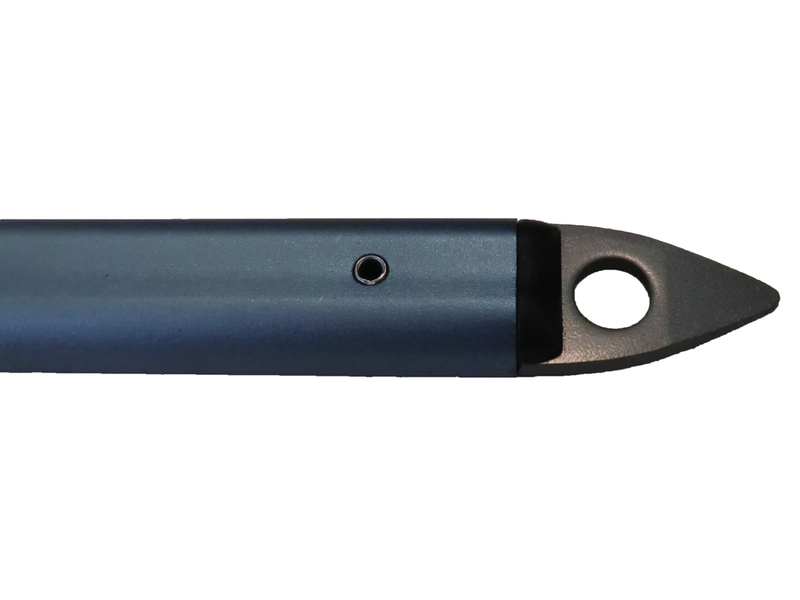 The 65 cm size is comfortable and works well for braking during sitting glissades. The head of the Capra is well-designed, as it easily accepts carabiners with a leash attached at the same time. The entire ice axe has held up very well on my adventures with only minor scratches from normal use. 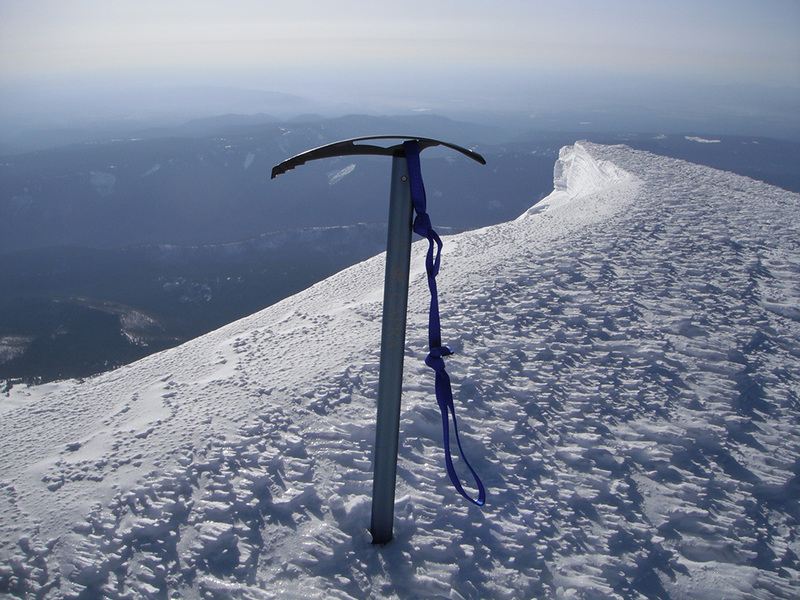 See Mount Hood, Mount Mitchell and Mount St. Helens adventures where the SMC Capra ice axe was used. 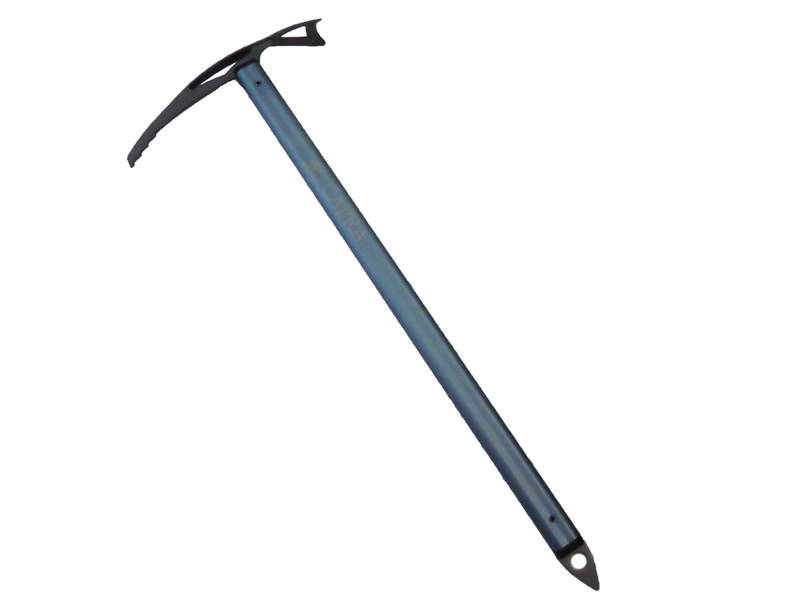 I have enjoyed using the SMC Capra ice axe on several mountaineering adventures and highly recommend it. Besides being made in the USA, it is a great all-purpose mountain axe. Available from amazon.com. Special thanks to SMC for loaning the Capra Ice Axe to Loomis Adventures for review.